Celebrate the coming of Fall with our Autumn Splendor bouquet. 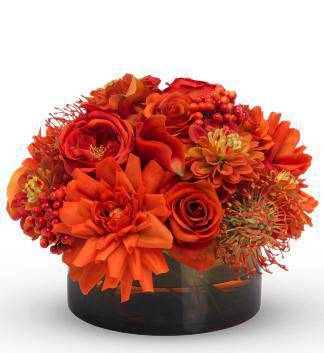 Shades of orange in this lovely arrangement come together in this low vase to capture the spirit of Autumn. A unique and beautiful arrangement to send, this will become a favorite for any occasion.